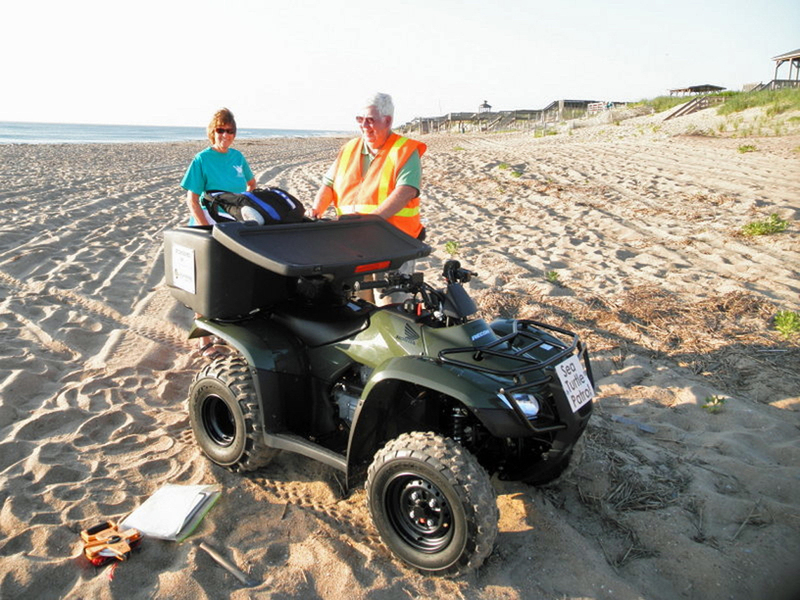 After waiting two weeks, Jim Bailey of the Kitty Hawk/Kill Devil Hills ATV team found Nest #2. A loggerhead sea turtle can lay one to five nests in a season. Usually the nests are laid 12-15 days apart. Doesn’t it make you wonder if maybe this was the same turtle that nested in Nags Head on 6 June? The DNA study will tell us. 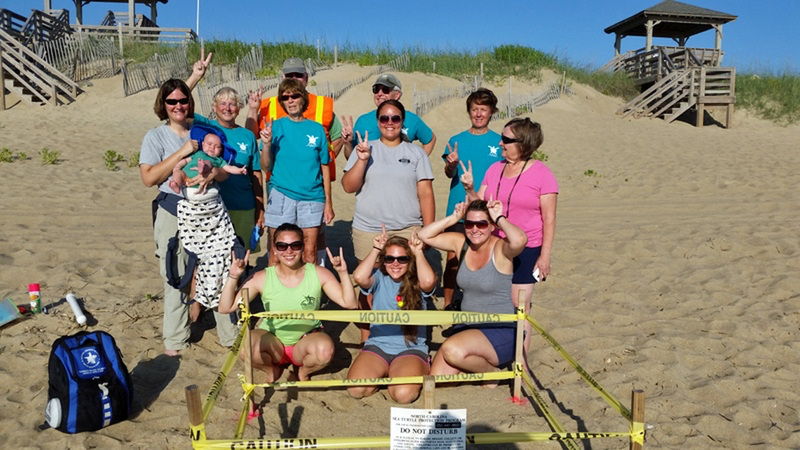 This female sea turtle also laid her nest in a safe place on the beach, so the nest did not have to be relocated. 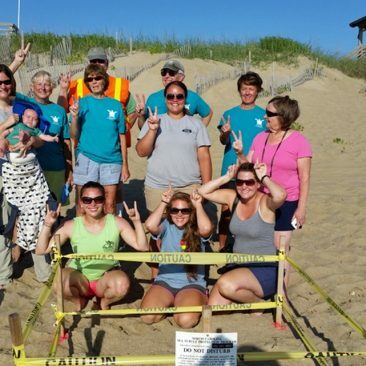 It has been several years since there was a nest in Kill Devil Hills, so this response team was overjoyed. 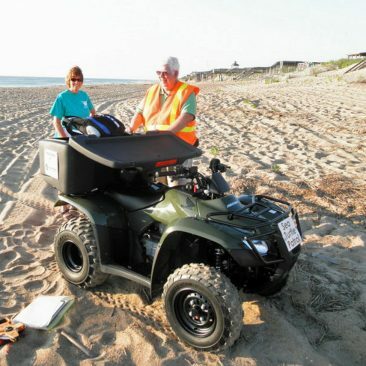 Looks like the turtles are moving north!